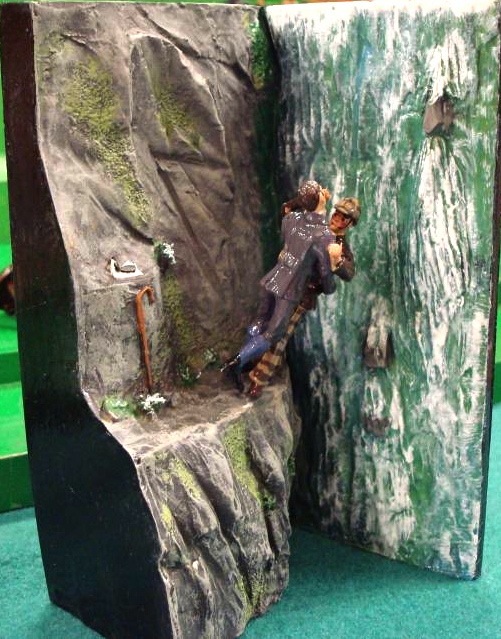 Dioramas and Clever Things: More Sherlock Holmes - This one's off the cliffs! These two photos show a diorama from Sarum Soldiers which depicts and important moment in the history of Sherlock Holmes. 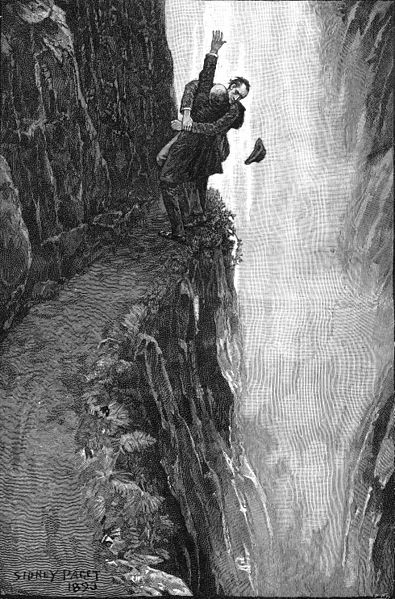 It is a scene from The Final Problem (published in Strand Magazine in 1893) in which Holmes and his arch enemy Professor James Moriarty, have an epic battle on the edge of a cliff at Reichenbach Falls, Switzerland, and fall to their deaths. Public pressure was so great that Doyle brought Holmes back in 1903 in The Adventure of the Empty House. In that story we learn that Holmes never actually went over the cliff (as Moriarty did) but remained in hiding for several years to mislead Moriarty's second in command, Colonel Moran. It is Moran whom Holmes faces in the Empty House. 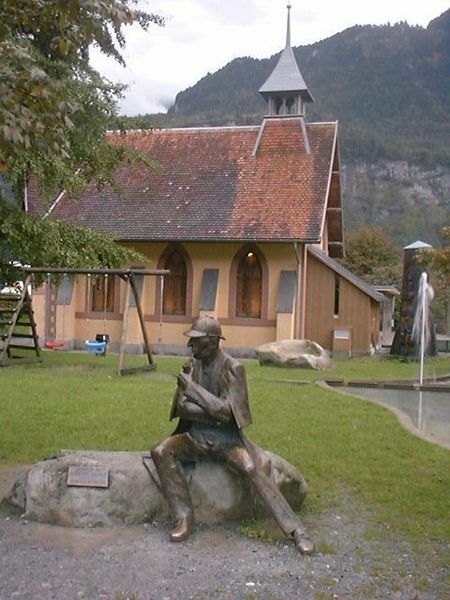 Today there is a statue of Holmes in the town of Meiringin, Switzerland, near the falls. Holmes is posed in front of the English Church which houses a Sherlock Holmes museum. Figures from Chas Stradden. 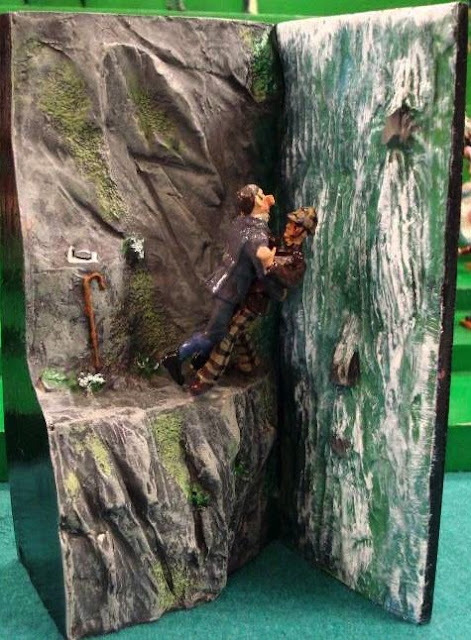 You can see more Stradden figures here. 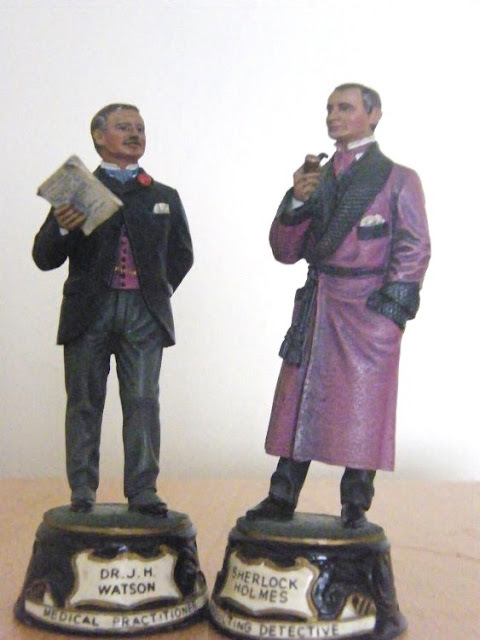 Interested readers can see our earlier posting on Sherlock Holmes figures (Sherlock in Miniature and Model).